Corporal 420609 16th Battalion Manitoba Regiment, Canadian Infantry. Edward in Winnipeg circa 1914. 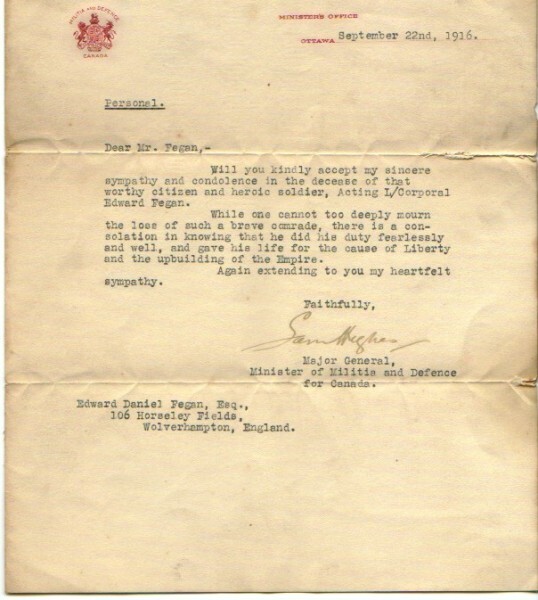 Edward was killed in action between 4th and 7th September 1916,son of Edward Daniel and Louisa Fegan. He is commemorated on VIMY MEMORIAL France. Pictures and information provided by Edwards Great Niece Collette Richards.